Rooms can have a double bed or two beds. Bathroom with hairdryer, exclusive bio bath amenities, bathrobe and slippers. Small dogs allowed in the room. 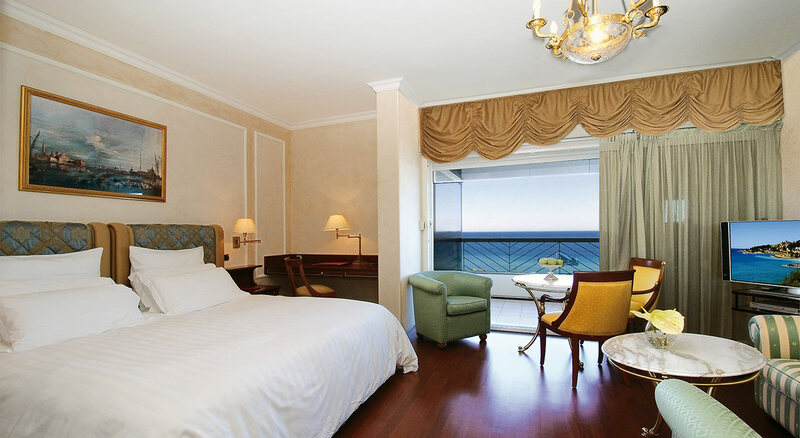 Spacious with elegant Italian touches, our Grand Vista Double Deluxe Rooms have spectacular views of the Mediterranean sea and a stunning terrace. Their terrace gives the guests the opportunity of a candlelight dinner. Complementing the room’s refined décor, state-of-the-art technology includes a LCD Satellite Sky TV and radio. Complimentary wireless High Speed Internet Access can be utilized at an elegant writing desk. Ensuring a captivating night’s rest are one queen-size or two twin Ghm Floating beds. Each is adorned with custom Luxury linens. 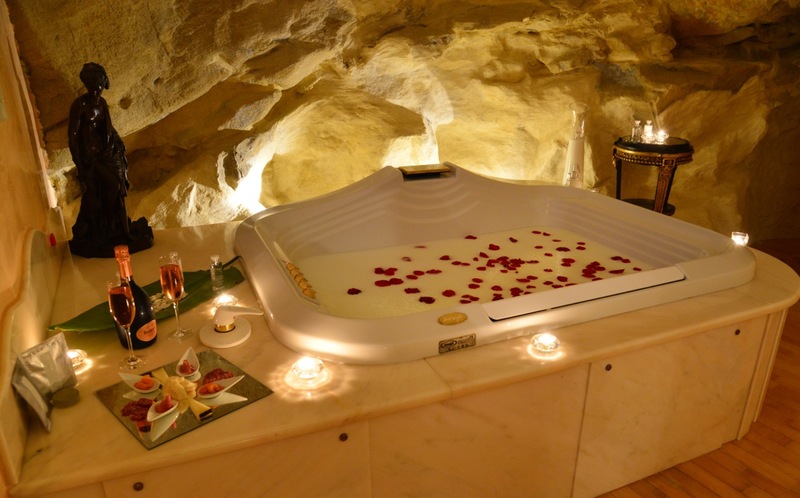 Exclusive Luxury bath amenities, and plush robes and slippers are thoughtful touches. The rooms have two beds or one double bed on request. Marble bathroom with hairdryer, bathtub, exclusive Trussardi bathroom amenities, bathrobe and slippers. 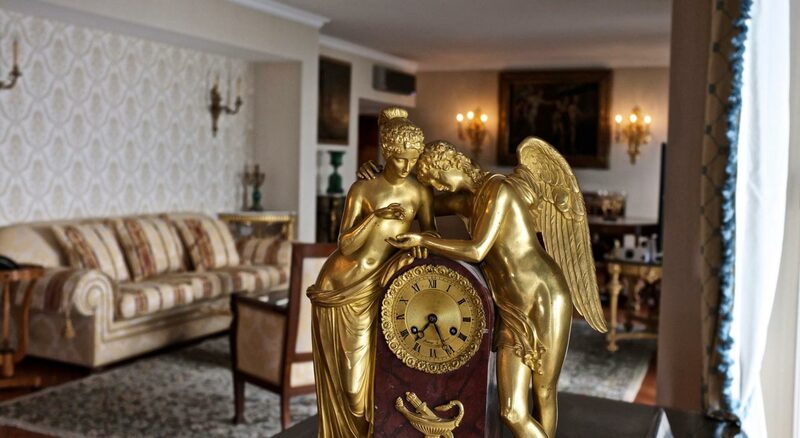 Our comfortable and elegant Royal Luxury Suite are all composed of a bedroom with large terrace overlooking the sea, an elegant living room with sofa and armchair, a terrace overlooking the sea and spacious walk-in closet. Marble bathroom with hairdryer, bathtub, exclusive Trussardi bathroom amenities, bathrobe and slippers. 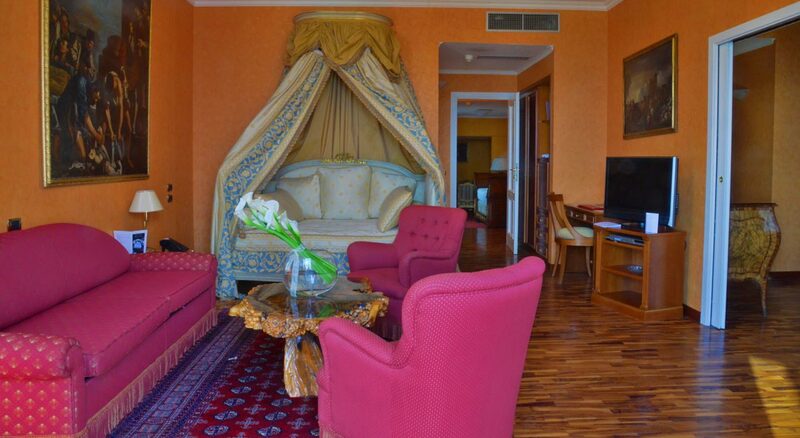 The Family Smart Suite is an exclusive suite divided into several rooms. 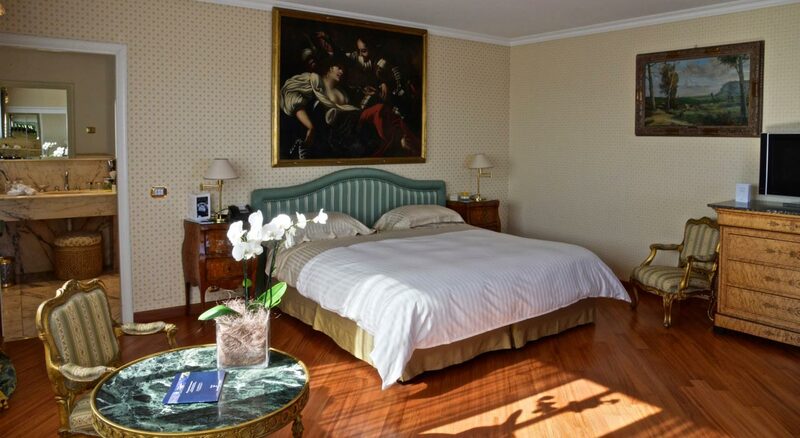 The sleeping area consists of two bedrooms, one with a king-size bed, the other with a single bed, there is also a living area inside the main bedroom where there is a comfortable lounge. Marble bathrooms with a hairdryer, a bathrobe and slippers. All suites are equipped with air conditioning, wi-fi, safe, satellite TV and private bar. 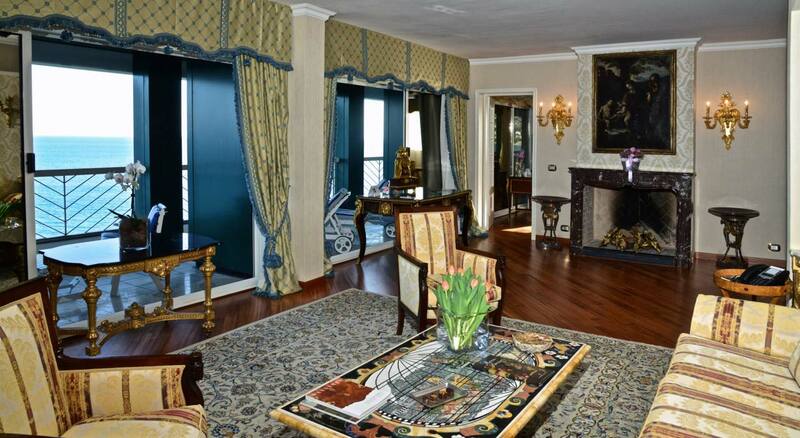 The Park Suite suite is an exclusive suite made by many places. The Appartment Park is an exclusive suite made by many places. 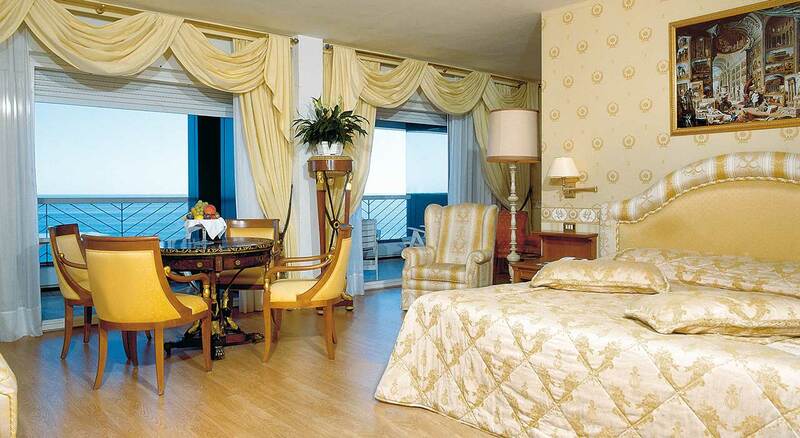 The Vista King Terrace Grand Suite is an exclusive suite made by many places. 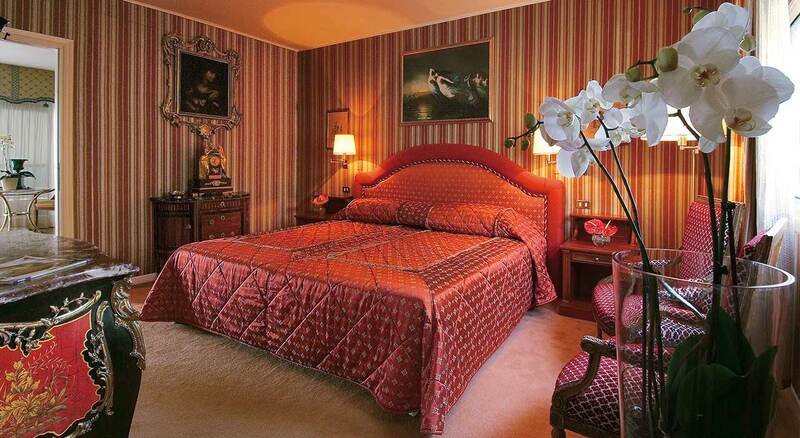 A night zone, with one large King size bedroom, a wide marble bathroom, a day zone with a comfortable sitting place. The one of a kind Alcove Suite offers a splendid two outside terrace with sea view, accessible from large floor-to-ceiling doors that contribute to the luminosity of the room. The bedroom, the lounge and the bathroom with Italian marble twin vanity unit are decorated with wooden floors, bousserie made to measure furniture and are equipped with state of the art technology. 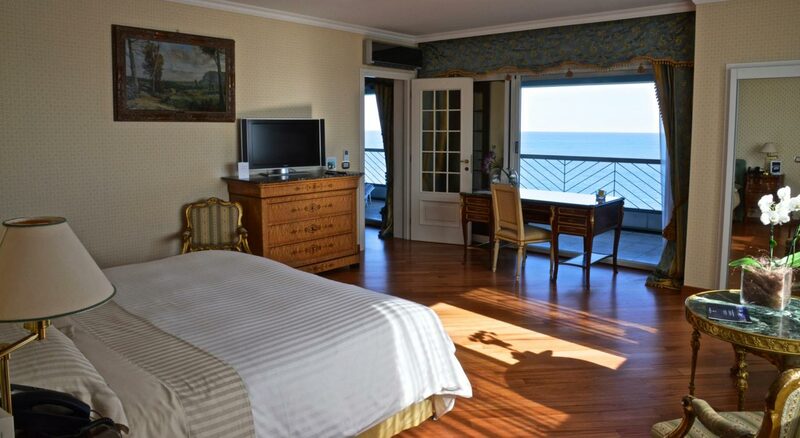 The Tower Sea Rooms are wide, comfortable and luxurious , newly renovated guest room, with a large king or twin bedroom offering a stunning sea view. Their terrace gives the guests the opportunity of a candlelight dinner. Marble bathroom with hair dryer, tub, selected luxurious bath amenities, bathrobe and slippers, air conditioned, wifi, in room safe, satellite TV, LCD and Private Bar. 30 mq. 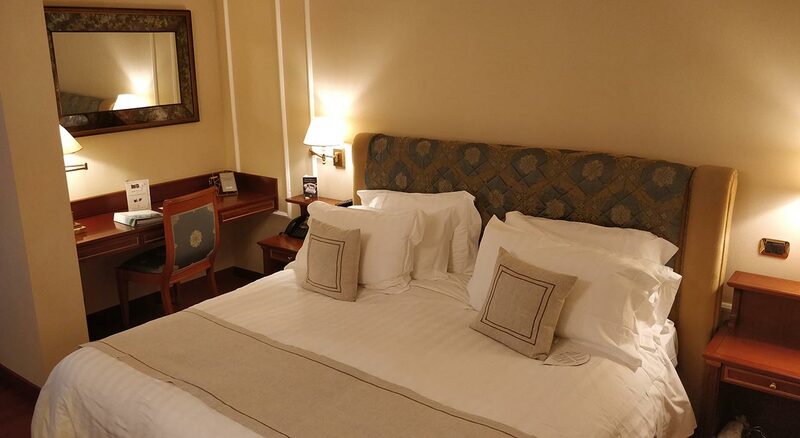 Our King Tower Executive Junior Suite, it’s a large bedroom with sitting area, comfortable and elegantly furnished. 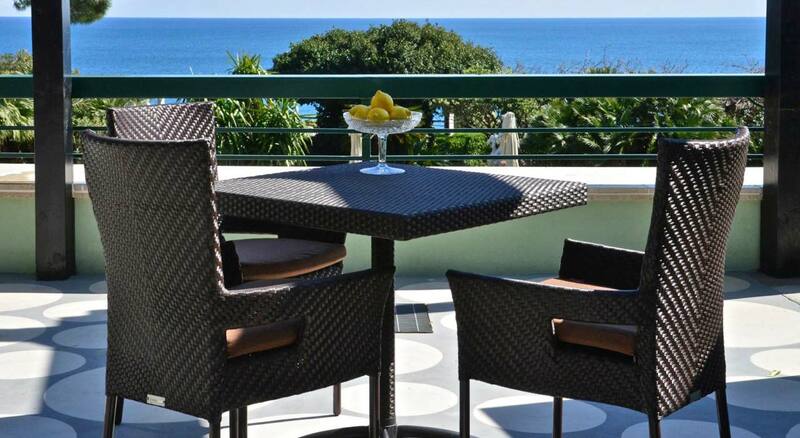 From the terrace you can admire an amazing sea view. The rooms have two beds or one double bed on request. Elegant bathroom with hairdryer, bathtub, exclusive Trussardi bathroom amenities , bathrobe and slippers. 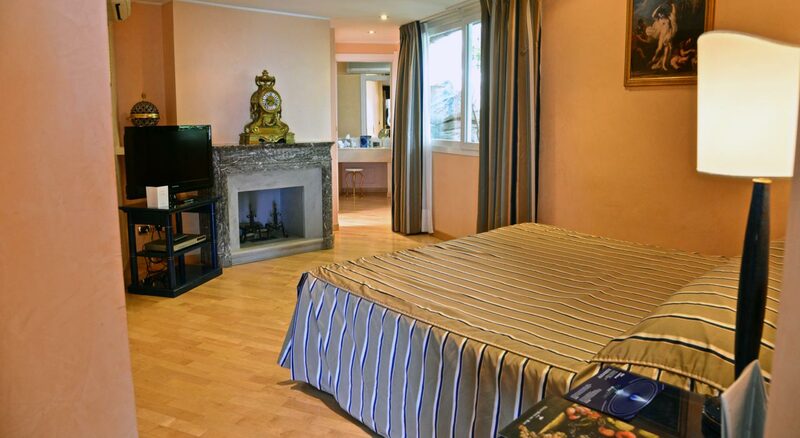 All rooms are conditioned, wi-fi, safe, satellite television and private bar. Possibility of adding an extra bed. Average size: 45 square meters. 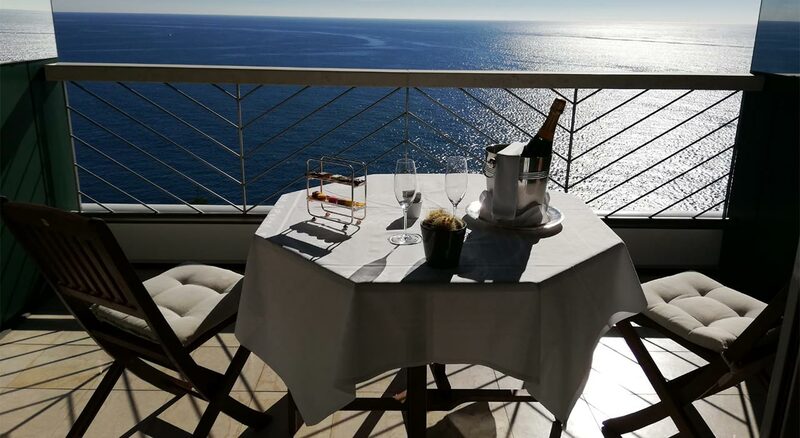 Our comfortable and elegant King Tower Suite, are all composed of a bedroom with large terrace overlooking the sea, an elegant living room with sofa and armchair, a terrace overlooking the sea and spacious walk-in closet. Marble bathroom with hairdryer, shower XL, exclusive Trussardi bathroom amenities, bathrobe and slippers. 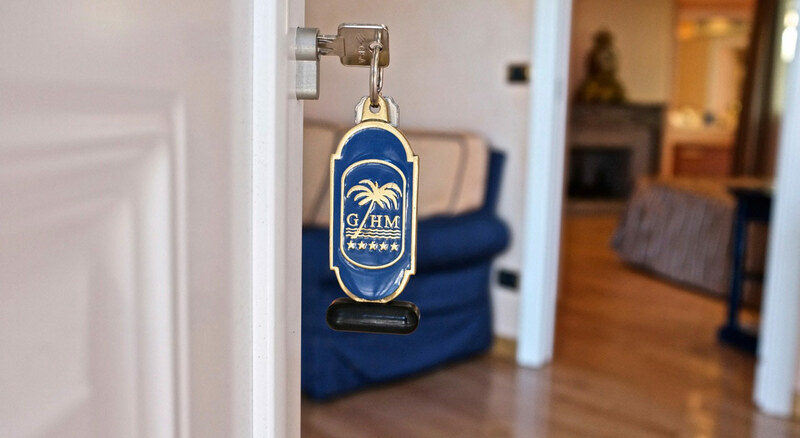 All rooms are conditioned, wi-fi, safe, satellite television and private bar. Possibility of adding an extra bed.